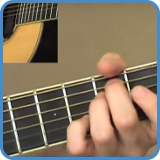 The advanced acoustic songs use chord extensions and inversions that may be new to you. A few solos are incorporated into the arrangements as well, sometimes as overdubs, sometimes not. Take the advanced course and there is complete TAB for everything single note played in the video lessons but that’s just the beginning. Alongside learning the songs you will also be learning all about modes, arpeggios and chord extensions. 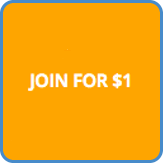 This will not only teach you how to play them but also how to write similar songs and guitar parts, even how to improvise. Below you find a link to preview every acoustic song available in the course. This one guitar arrangement of ‘Angels’ is an example of how to arrange piano parts for the guitar. For example, the first chord, a C shaped E major chord, use the low open E to create a big sounding, piano-like chord. 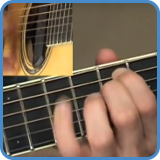 Go to video lessons: Angels chords. Inspired by Bachs’ Bouree in E minor, Paul McCartney created a modern masterpiece that all other acoustic finger picked songs shall forever be compared to. An open G string is used almost throughout ‘Blackbird’. This ties the very clever chord progression together nicely. 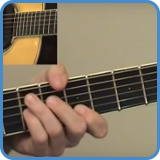 Go to video lessons: Blackbird chords. Carpenters ‘Close To You’ was written by Burt Bacharach so we are in for some clever chordal movement here. Starting off with an Asus2 chord, Bacharach cleverly disguises where the tonal centre is since a sus2 chord could be pretty much any of the chords from the key. 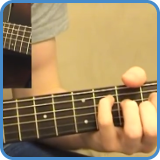 Go to video lessons: Close To You chords. 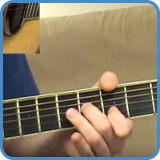 This fast-paced country song is played using pull off’s and hammer on’s from the Minor Pentatonic and Mixolydian scale. There’s complete TAB (including the pretty scary sounding solo) available when you take the full course. 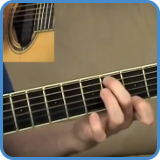 Go to video lessons: Creepin’ In chords. 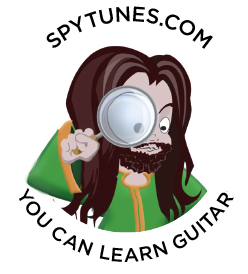 Spy Tunes one guitar arrangement of ‘I Shot The Sheriff’ is inspired by the original Bob Marley recording but also by Eric Clapton‘s version. 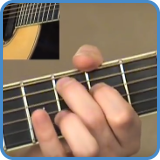 The verse chord progression is simple and very Aeolian using the IVmaj7 and the IIIm7 to point back to VI. 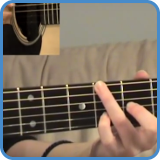 Go to video lessons: I Shot The Sheriff chords. 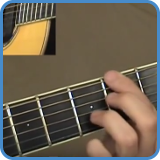 With its intricate picking pattern and chord extensions ‘Over The Rainbow’ gently move from one chord to the next. A replica of Eva Cassidy‘s beautiful one guitar arrangement of this classic song is what is on offer in this lesson. 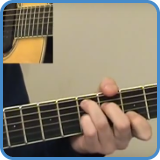 Go to video lessons: Over The Rainbow chords. Roxanne’s verse progression descend which cleverly supports the lyrical attempt to stop Roxanne from selling her body under the red light. The bridge/pre-chorus employ the II – V – VI progression which set us up for the very common I – IV – V chorus. 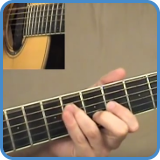 Go to video lessons: Roxanne chords. Most people recognize Clapton’s live version of the legendary live ‘Unplugged Album’, rather than the official album version. Our version is based on the live recording. ‘Tears In Heaven’ has a genius chord progression that uses small variations and slash chords to keep the harmonic interest on top. 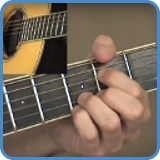 Go to video lessons: Tears In Heaven chords. The Stadium meets campfire trick that ‘Wish You Were Here’ pull off have been attempted by so many bands since. It’s actually difficult to think of one that doesn’t sound a bit like “the original”. This is not a song to jam and improvise over, so legendary are the licks you simply must learn each and every one of them, note for note. 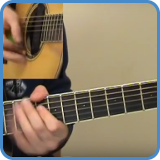 Go to video lessons: Wish You Were Here chords.